Prepare glass by making a small slit into the ginger cube and rub it around the rim of the glass. 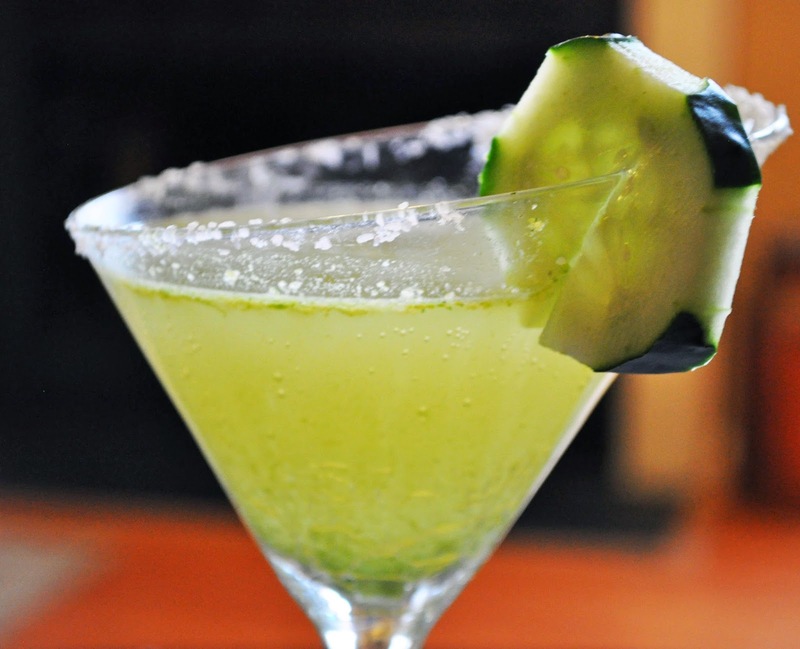 Dip the glass in kosher salt and add slice of cucumber. Set aside. Place cucumber, basil and lime juice in the shaker and muddle until cucumbers are smashed and juices have been released. Add vodka and ice. Place lid on shaker and shake vigorously. Gently remove the top and strain into prepared martini glass with a fine strainer. Top off with club soda and a splash of sprite. Grate a little lime zest over the top and serve.